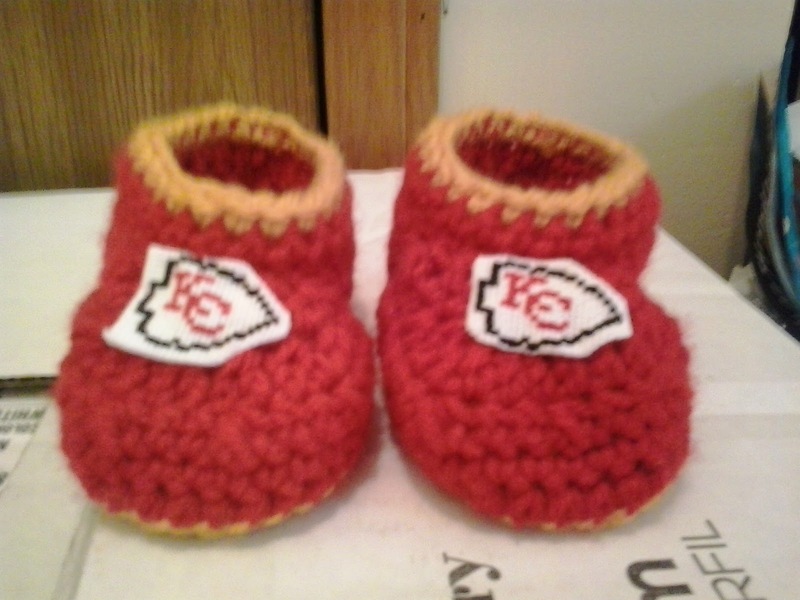 This is adaptation of my Baby Booties pattern in Kansas City Chiefs colors and with the Chiefs logo. These are designed for a newborn but can be made larger by using a larger hook size. Using Aida cloth and embroidery floss, create logo using graph below. Kansas City Chiefs and Kansas City Chiefs logo are copyright the National Football League their respective creators.